Jack Mull explained his managerial style to his hometown paper The Chambersburg Public Opinion in 2006. His style focused on getting the most out of his players, getting them to play the right way, he told The Public Opinion. "You have to have respect for the game of baseball and you have to have respect for your teammates," Mull told The Public Opinion. "You have to have respect for the people who pay money to come in and see you play." The occasion was Mull's retirement after 38 years in the game as a player, coach and manager. Most of that time was spent in the minors. Mull managed throughout the minors, from single-A up to AAA. In one season, 1985, Mull made the majors as a bullpen coach. Mull's long career began in 1969, signed by the Cubs out of his native Pennsylvania. Mull's regular playing career lasted five seasons. He played his first season largely at single-A Quincy. He made AA San Antonio and he played at AA through 1973. He then started his managerial and coaching career. His first job was managing the single-A Key West Conchs of the Florida State League. He returned to the field briefly in 1975 and 1976, playing 27 games and eight games at AAA Phoenix. 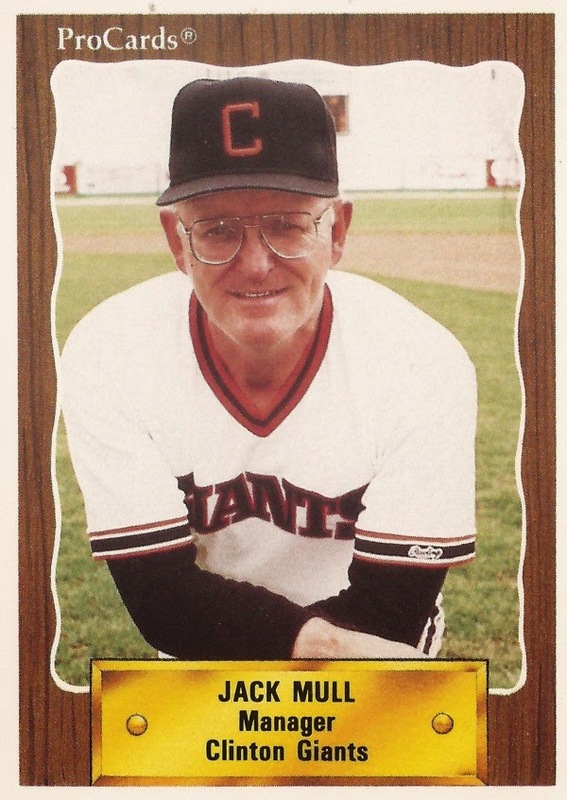 In 1977, he moved to single-A Cedar Rapids as manager with the Giants. Mull started that season praising his team to The Cedar Rapids Gazette. "We've got a great group of young men," Mull told The Gazette then, "and we're all anxious to play." By 1981, Mull was managing at AA. In 1983, it was AAA Phoenix. In October 1984, Mull was on the long list of possibilities to take the managerial job in San Francisco. Instead, he made the bigs as a bench coach. He returned to the minors for 1986, arriving at single-A Clinton. He returned to Clinton in 1990, staying there for four seasons. In 1996, Mull managed at high-A Kinston with the Indians. He also watched over a young Sean Casey. "He's a major league prospect, no doubt about it," Mull told The Pittsburgh Post-Gazette that July. "He's a disciplined hitter with power." By 2001, Mull was serving as a hitting coach at AA Buffalo. He then continued as a minor league hitting coach through 2006, when he served his final season as hitting coach at single-A Lake County.